Does your data management platform (DMP) include a tag manager? Because a DMP needs data like a car needs fuel. Otherwise it’s not very useful at all. DMP users are anxious to get their hands on as much information about what visitors do on a website as possible – whether it be about conversions of different kinds, product views, button clicks, added or removed items from a shopping cart or the activation of different services within an online account. This is what is known as first-party (or owned data) and for marketers and advertisers it is the most likely to produce results when used in conjunction with the data segmentation and activation capabilities of a DMP. Digital marketers and data analysts use tags to collect this information. It is then passed along to the DMP which can use it for targeted media-buying, content personalization or a host of other uses. An integrated tag management system (TMS) can serve as a central data hub for the first-party data it collects. Besides feeding a DMP, this data may need to be passed on to other marketing tools (for optimization or email automation). But in some cases, this data usage may be subject to data privacy regulations – which is why a tag management system can help make sure that only the correct type of data is shared and only with a web visitor’s consent. 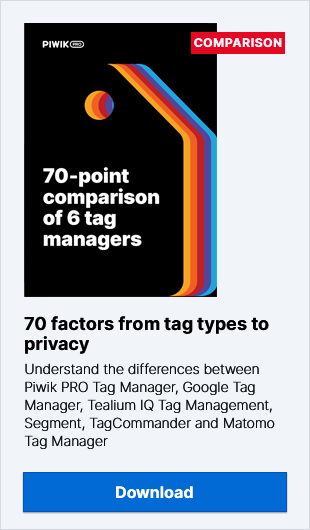 For all of these reasons a tag manager is an extremely valuable part of any data management stack. How Does a Tag Manager Work? As mentioned already, tag manager gives marketers, data analysts and advertisers a centralized tool where they can easily view, change and deploy tags. This makes it easy to add new ones and delete old ones – as well as verify which ones are currently live and which ones are not. Not only does a tag manager giving its users a central place to control tags and the flow of the data they collect, it also works by placing all the tags into one “container” which is loaded in the section of a web page. So they are not fired in-line with each element (hence the name “asynchronous”) and greatly improves page loading times, especially when there are large numbers of tags to be loaded. Additionally, a tag manager helps quickly configure tags to collect the information needed. Finally, a good tag manager will also allow its users to test and debug tags before they go live. All of this makes a tag manager a powerful tool for gathering the very specific information that a DMP needs to do its job. In some instances (during A/B testing, for instance), loading tags synchronously may be necessary to prevent page elements from flashing momentarily (a.k.a. Flash of Original Content). As mentioned already, the more information a DMP has at its disposal, the easier it is to create insightful audience segments. And the more data that needs to be gathered using tags, the more a tag manager becomes a must-have. More and more marketers are beginning to see the advantage of activating their 1st-party data (as opposed to targeting customers with 3rd-party data segments bought from data vendors). With a tag manager incorporated into a data management stack, marketers have direct access (and control) over the collection process for their valuable first-party data. This final point is especially important and helps explain the increased emphasis on 1st-party data. Because new data privacy regulations will stipulate that internet users be given the explicit option to opt out of tracking, DMP users need a way to control which data they are using and provide their subjects with a way to indicate they don’t want to be tracked – right from the very beginning. By having a tag management system fully integrated with the DMP, it is possible to make every tag privacy compliant and thus protect the DMP user from any possible problems by using data that has been collected improperly. The measure of a DMP’s effectiveness is ultimately its ability to take large amounts of data and break it down into actionable pieces for advertisers, marketers and publishers. As the speed of the digital landscape accelerates, the need to stay agile and adapt campaigns quickly to changing business needs and market trends is paramount. Using a tag manager can significantly streamline the data collection process and give DMP users the power to decide which data to gather as they need it and control its usage throughout the entire process.